Bodmin Gaol was the site of many public executions.The last hanging took place in 1909 and the Crown Jewels and Doomsday Book were stored at the jail during the First World War. 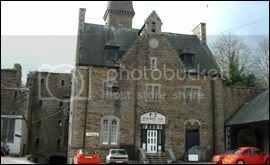 Built in 1777, completed in 1860, Bodmin Gaol housed over 150 prisoners, with 55 executed through hanging. The Gaol has several claims to historical importance, including being the location of the last public hanging in Britain and as the location of treasures such as the Crown Jewels and the Domesday Book in times of national crisis. Since the Gaolâ€™s doors shut in 1922 the site has been used as a nightclub, and later a restored public house and museum. 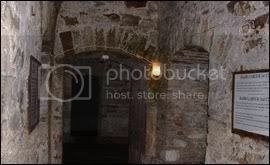 The building is also famed for its alleged hauntings, attracting the attention of visitors, TV cameras and paranormal investigation organisations. Reported phenomena include apparitions of apparent former prisoners, the hearing of voices and other unexplained noises, light anomalies seen by eye, temperature fluctuations, touching sensations and the sense of oppression. Today, it is open to the public as a museum. Exhibits include re-creations of notable prisoners with details of their crimes and the sentences they faced.